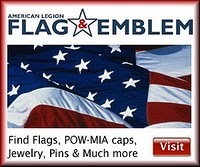 This week we recognized Flag Day (Friday, June 14). Most towns I traveled through proudly displayed the Stars and Stripes. As I reflected on the amazing history of our flag, I went out to the internet to research a few things I was taught as a boy about the flag, and thought I might dig deeper. With thanks to Google, here is what I discovered about the “Star Spangled Banner”. Francis Scott Key was a respected young lawyer living in Georgetown, just west of where the modern day Key Bridge crosses the Potomac River. He made his home there from 1804 to around 1833 with his wife Mary and their six sons and five daughters. At the time, Georgetown was a thriving town of 5,000 people just a few miles from the Capitol, the White House, and the Federal buildings of Washington. But, after war broke out in 1812 over Britain’s attempts to regulate American shipping and other activities while Britain was at war with France, all was not tranquil in Georgetown. The British had entered Chesapeake Bay on August 19th, 1814, and by the evening of the 24th of August, the British had invaded and captured Washington. They set fire to the Capitol and the White House, the flames visible 40 miles away in Baltimore. President James Madison, his wife Dolly, and his Cabinet had already fled to a safer location. Such was their haste to leave that they had had to rip the Stuart portrait of George Washington from the walls without its frame! In the days following the attack on Washington, the American forces prepared for the assault on Baltimore (population 40,000) that they knew would come by both land and sea. Word soon reached Francis Scott Key that the British had carried off an elderly and much loved town physician of Upper Marlboro, Dr. William Beanes, and was being held on the British flagship TONNANT. The townsfolk feared that Dr. Beanes would be hanged. They asked Francis Scott Key for his help, and he agreed, and arranged to have Col. John Skinner, an American agent for prisoner exchange to accompany him. On the morning of September 3rd, he and Col. Skinner set sail from Baltimore aboard a sloop flying a flag of truce approved by President Madison. On the 7th they found and boarded the TONNANT to confer with Gen. Ross and Adm. Alexander Cochrane. At first they refused to release Dr. Beanes. But Key and Skinner produced a pouch of letters written by wounded British prisoners praising the care they were receiving from the Americans, among them Dr. Beanes. The British officers relented but would not release the three Americans immediately because they had seen and heard too much of the preparations for the attack on Baltimore. They were placed under guard, first aboard the H.M.S. Surprise, then onto the sloop and forced to wait out the battle behind the British fleet. 400 yards of best quality wool bunting. They cut 15 stars that measured two feet from point to point. Eight red and seven white stripes, each two feet wide, were cut. Laying out the material on the malt house floor of Claggett’s Brewery, a neighborhood establishment, the flag was sewn together. By August it was finished. It measured 30 by 42 feet and cost $405.90. The Baltimore Flag House, a museum, now occupies her premises, which were restored in 1953. At 7 a.m. on the morning of September 13, 1814, the British bombardment began, and the flag was ready to meet the enemy. The bombardment continued for 25 hours, the British firing 1,500 bombshells that weighed as much as 220 pounds and carried lighted fuses that would supposedly cause it to explode when it reached its target. But, they weren’t very dependable and often blew up in mid air. From special small boats the British fired the new Congreve rockets that traced wobbly arcs of red flame across the sky. The Americans had sunk 22 vessels so a close approach by the British was not possible. That evening the cannonading stopped, but at about 1 a.m. on the 14th, the British fleet roared to life, lighting the rainy night sky with grotesque fireworks. Waiting in the predawn darkness, Key waited for the sight that would end his anxiety; the joyous sight of Gen. Armistead’s great flag blowing in the breeze. When at last daylight came, the flag was still there! Being an amateur poet and having been so uniquely inspired, Key began to write on the back of a letter he had in his pocket. Sailing back to Baltimore he composed more lines and in his lodgings at the Indian Queen Hotel he finished the poem. In October a Baltimore actor sang Key’s new song in a public performance and called it “The Star-Spangled Banner”. Immediately popular, it remained just one of several patriotic airs until it was finally adopted as our national anthem on March 3, 1931. But, the actual words were not included in the legal documents. Key himself had written several versions with slight variations so discrepancies in the exact wording still occur. The flag, our beloved Star-Spangled Banner, went on view for the first time after flying over Fort McHenry, on January 1st,1876 at the Old State House in Philadelphia, for the nation’s’ Centennial celebration. It now resides in the Smithsonian Institution’s Museum of American History. An opaque curtain shields the now fragile flag from light and dust. The flag is exposed for viewing for a few moments once every hour during museum hours. Post Commander Jim Frazier announced that the State Convention is coming up July 5th-7th in OKC at the Biltmore Hotel. Those interested can check in with him at our meetings, or contact me at 918-510-0032. Our regular meetings are the 1st and 3rd Thursdays of each month at 1900 hours (7:00 PM) and our Monday morning Koffee Klatch meetings have started back up thanks the Adjunct Eli Prather. Over biscuits and gravy (or waffles) we will keep up on each other’s mischievous doings. It will run generally from 7 am to 9 am. If you are a veteran come join us.